There’s just something about coming home again. It’s also probably why I fell in love so easily with the three novels that make up our Hometown Love bundle this month. Sidney Williams, Jack Marshall, and Colby Robicheaux are all looking for something, and they all find it by returning to their small hometowns. For Sidney, it’s a break from trying to make it as an actress in Los Angeles, and instead she finds that home is wherever her best friend, Kade, is. For Jack, it’s a place to raise his young daughter and to do what he loves best, coach football—but what he truly loves best is being with his old summer flame, Tess. Colby’s hometown reminds her of nothing but heartache, but when she returns briefly to help out her siblings, she’s inspired to let go of the pain with the help of her brother’s best friend, Jason. Reading these books gave me the same feeling I get when I board that plane and arrive back where I grew up—happiness, comfort, and peace—but with the added bonus of everything I love best about falling in love for the first time—heart-pounding, mind-racing, tingle-inducing excitement. And not of the rent-check variety, either. 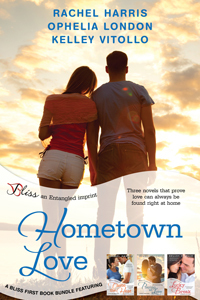 Looking for a great small town romance? Pick up the Hometown Love Boxed Set for just $.99! This set will only be available for a limited time so get 3 fabulous romances for one low price. 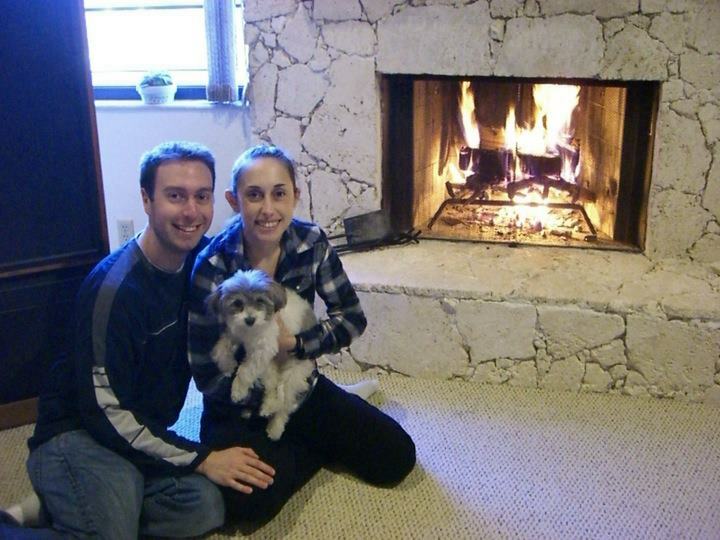 There’s nothing quite like the comfort and serenity of returning home again, especially when combined with the sizzle and excitement of finding true love. This limited-edition contemporary romance boxed set from Entangled’s Bliss line features three fun and flirty small-town stories sure to make you laugh, sigh, and smile long after you’ve turned the last page. Taste the Heat by Rachel Harris: Colby Robicheaux knows her brother’s best friend—delectable fire captain Jason Landry—is off-limits, and anyway, she’s only back home for a short time. Jason’s looking for someone to help him raise his preteen daughter, not a fling, but Colby’s all grown up and tempting as ever. Playing at Love by Ophelia London: When Tess Johansson’s music program gets pitted against Jack Marshall’s football program in a battle for funding, she knows only one of them can win. Jack might be the summer love she never forgot, but her job means everything to her. Competing against the enemy was never quite this much fun. Lucky Break by Kelley Vitollo: Sydney Williams might have come home to her small town of Shamrock Falls, but it’ll take more than that to rekindle a broken friendship with her childhood best friend, Kade Mitchell. When friendship turns to sparks turns to more, will Kade be able to convince his best friend to gamble on forever? Entangled Teen Book Boyfriend March Madness!